Good things come in small packages and this watch is certainly one of them, for that classic statement watch this is a great alternative to the popular oversized range. 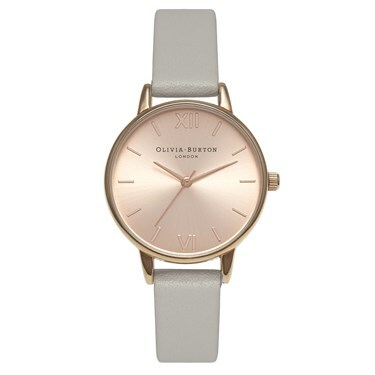 Featuring a beautiful rose gold case and lovingly embossed genuine grey leather strap. I wanted a new watch for my wife's Birthday and saw that Argento had the make I was looking for. The ordering process was simple and even had free delivery which persuaded me to purchase from Argento over other internet sellers. Item was delivered on time and opting for the 'plain' packaging meant my wife wouldn't realise where the package was from (as she would have put 2 + 2 together !!). My wife loved the surprise and the watch was exactly what she wanted, so overall very happy with the purchase and delivery.